It's hard to believe it's been 25 years since Mrs. Doubtfire taught us all about the great lengths a dad would go to be with his children, and I'm crying just thinking about the incredible Robin Williams (RIP) who brought the eponymous character to life. After a messy divorce with his wife Miranda (Sally Field), Daniel Hillard (Williams) disguises himself as an older British nanny in order to convince his ex-wife to let him look after their kids. What follows is family-friendly, wholesome fun, with some heartfelt tears mixed in. Growing up, I probably watched this movie over a hundred times, and it instilled a deep love for the city of San Francisco in me from a very early age. I can hardly think of a more iconic SF movie than Mrs. Doubtfire, which, fun fact, was shot entirely in the city. 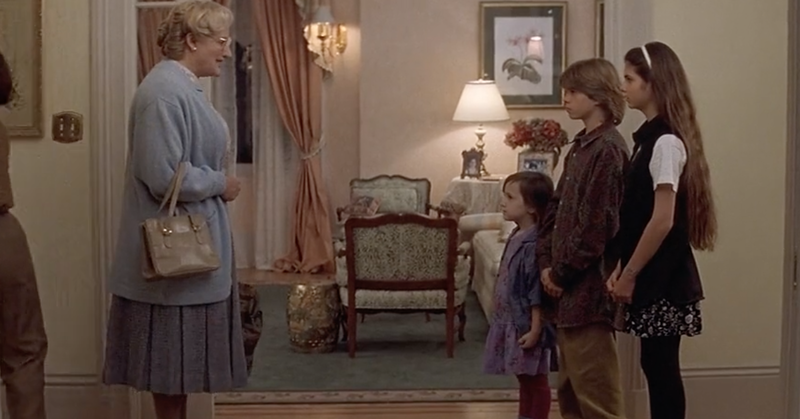 One thing I appreciate tremendously about this film after years of rewatching it is the way Mrs. Doubtfire warms the hearts of the children and mother, successfully making their broken house a home once again. 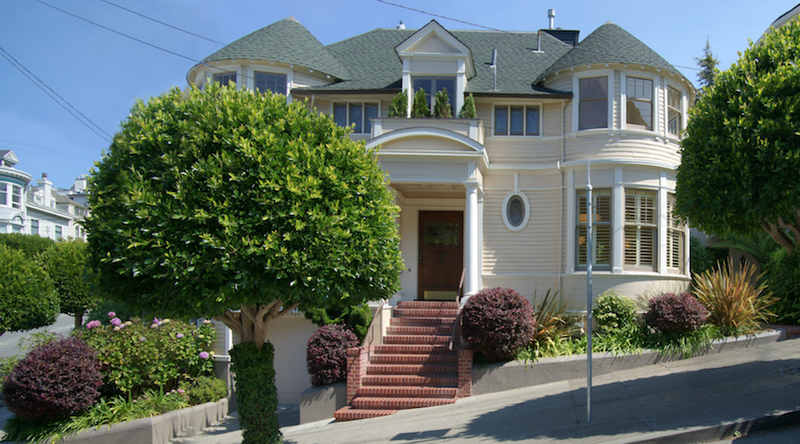 So, for the 25th anniversary of the film's release, I wanted to take a look inside the iconic Pacific Heights home to relive some of the movie's best moments, without spending any money on airfare. When Mrs. Euphegenia Doubtfire initially speaks to Miranda on the phone about interviewing as a nanny, she tells her ex-husband-in-disguise to show up at 2640 Steiner Street, right in the heart of the very fancy Pacific Heights, just steps away from the Embarcadero. As it turns out, this is an actual real-life address, which, since Robin Williams' untimely death in 2014, has become a site for fans from all over the world to leave flowers and notes of remembrance. From the looks of the real estate photos taken before the house sold for a pretty $4.15 million in 2016, the white door in the film was changed for a more classic wooden finish. The 3,300-square foot home boasts 4 bedrooms, an office, and 3.5 baths. Not too shabby for the Hillard family of four. 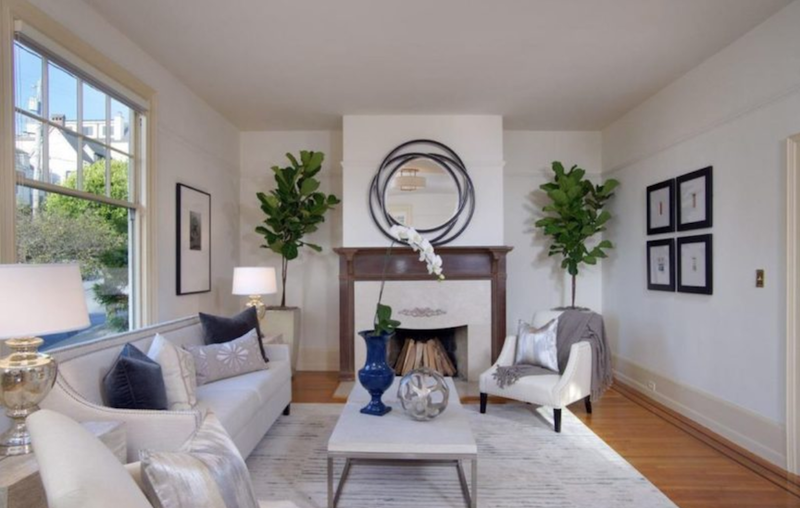 With the exception of some key updates that bring the house from '90s homey — which Miranda claims in the movie to have designed all by herself — to 21st century real estate chic, the formal living room doesn't look too changed. 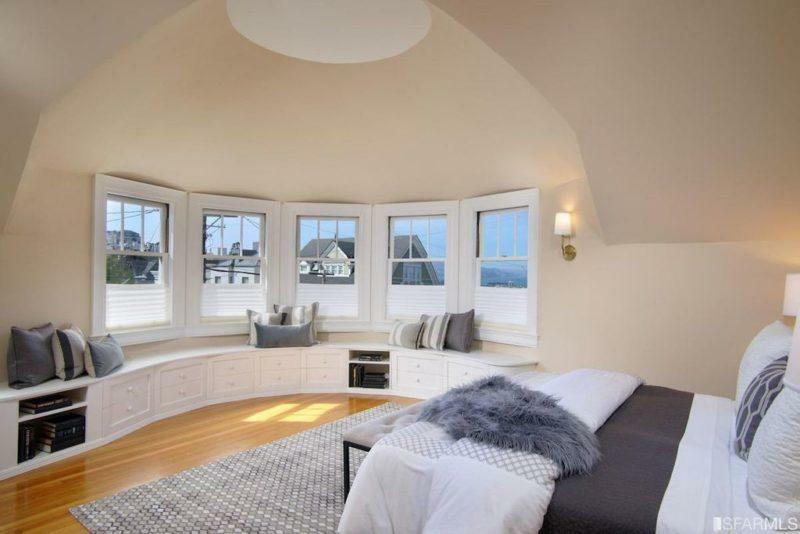 Even with all the ruckus of a birthday party going on, it's hard not to appreciate the window-lined turret, which according to the home's listing, promises "glimpses of the San Francisco Bay." In fact, the film kept most of the house's classic details, like the gorgeous inlaid detail on the pristine hardwood floors. The only big change I picked up on were the built-in bookshelves around the living room fireplace in the movie, which were gone by the time these real estate shots were taken. Even the iconic kitchen, where Mrs. Doubtfire catches on fire after trying her hand at preparing a home-cooked meal, has a similar layout to the ones that feature in the listing. 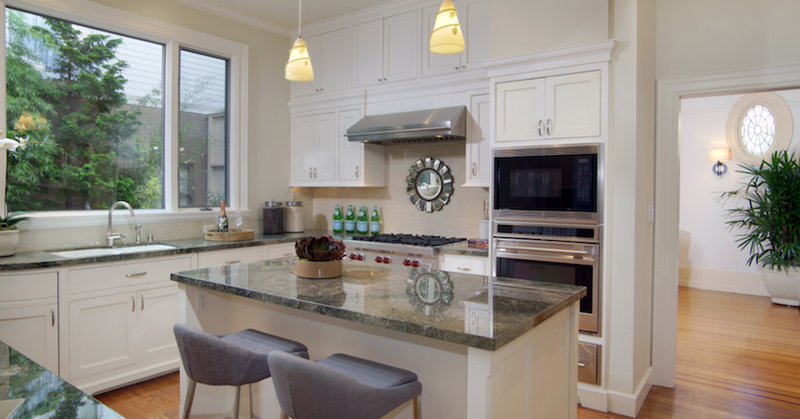 Just look at those tiled countertops, they've become a rare sight in modern houses these days. And let's not forget the highly memorable staircase, which the kids are always seemingly running up or down together. 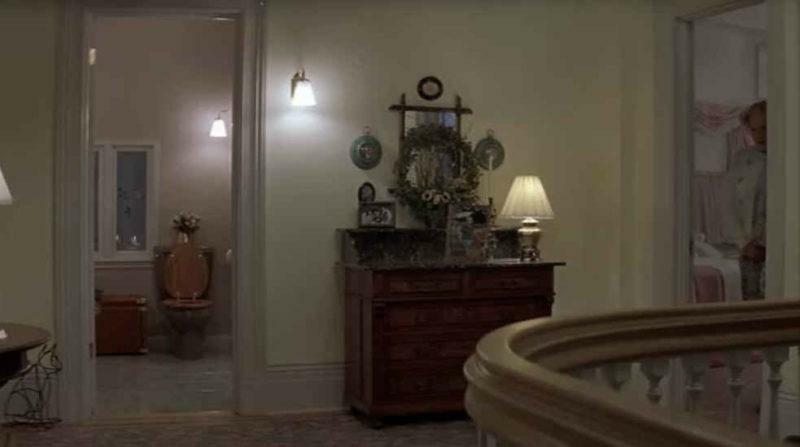 It figures prominently in the actual house, and the front door opens right to it, just like in the film. In fact, it makes me wonder whether the house's windows used to have leaded glass like they do in the film, or whether that detail was thought up by the movie makers. 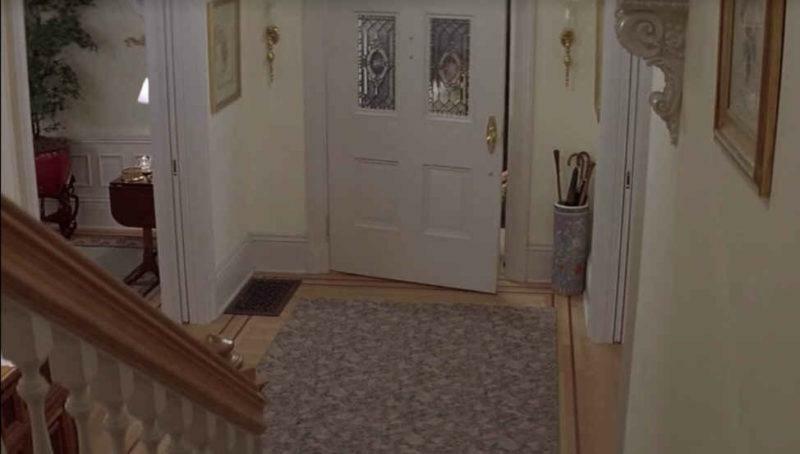 We don't get to see too much of the Hillard's upstairs in the movie, but there are a few choice scenes worth comparing to the real estate shots. 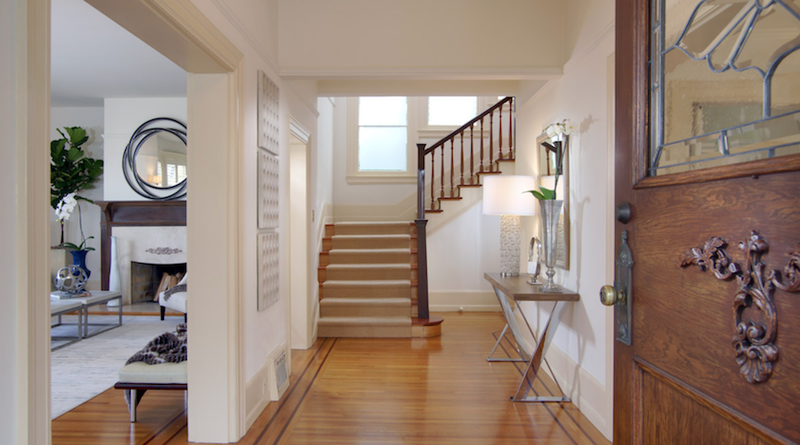 The first is a brief glimpse at the upstairs landing. Mrs. Doubtfire is leaving Lydia's room to go to the bathroom in this still, and Chris is about to discover she's actually a man. The doors and layout check out pretty decently when compared to the listing's photos. 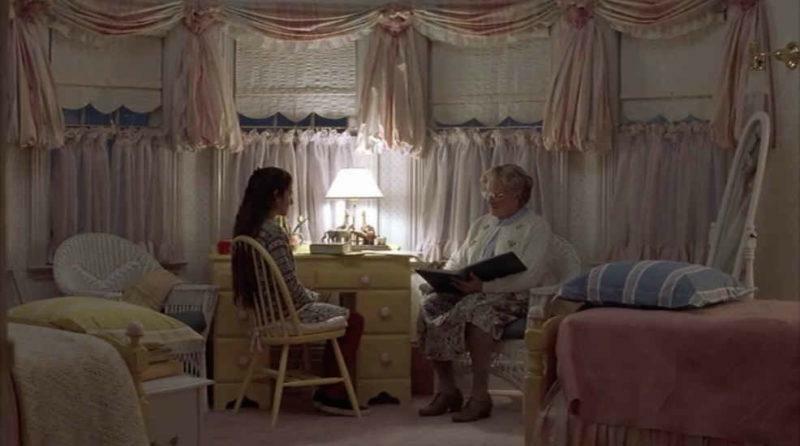 The second scene actually directly precedes the one of the landing, when Mrs. Doubtfire is quizzing eldest daughter Lydia about her homework. We get to see Lydia's lovely pink room, a gorgeous tween setup worthy of a mood board. 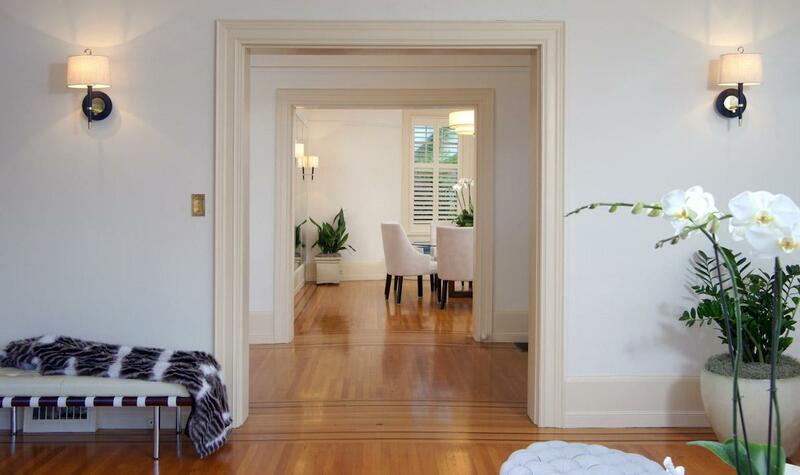 According to the Steiner Street listing, Lydia's is the front room, which features "built-in banquette storage in the turret with plantation shutters." This detail might have come after the film was shot in the '90s, or else the set designers chose to cover it up with the desk and bulky chairs we see here. 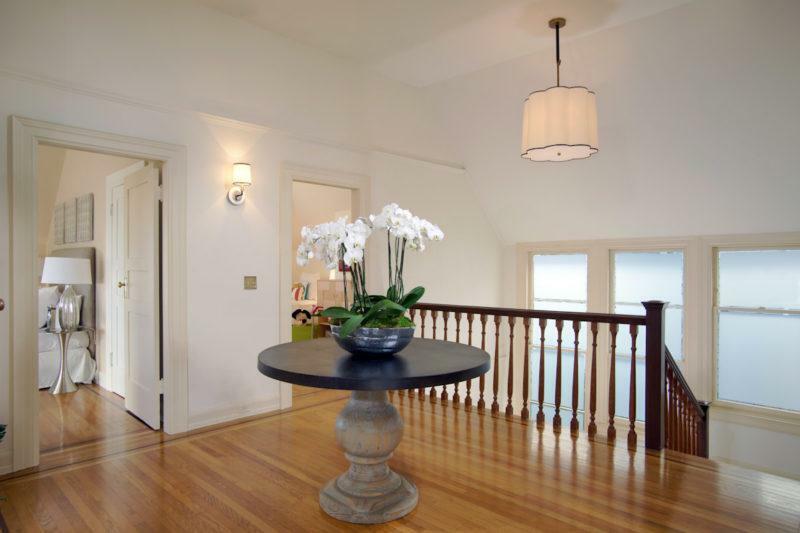 In any event, the house is a gorgeous one, currently being enjoyed by an undisclosed buyer. For more images of the house, visit the luxury real estate site of Steven Gothelf. All of these pictures make me want a historical house, or at least they make me want to throw the movie on, to appreciate and commemorate 25 years of the unforgettable Mrs. Doubtfire.